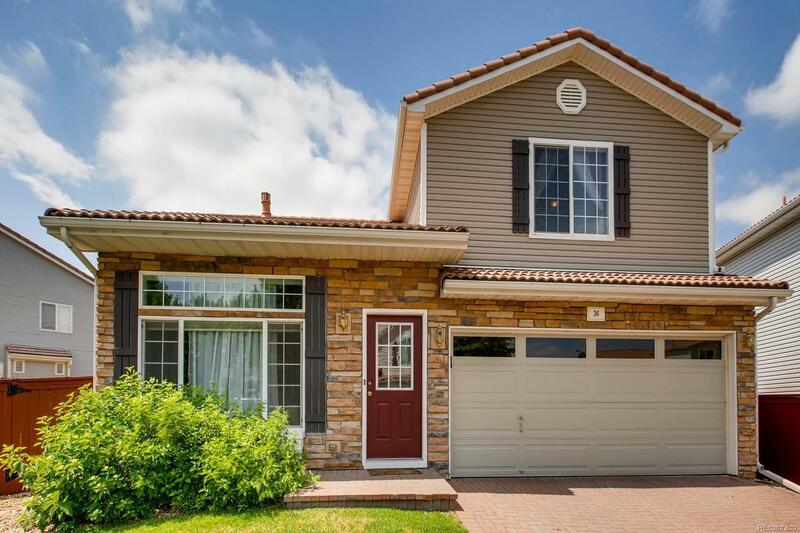 Beautiful updated two story home greets you with a very bright and open floor plan! Walk into wall-to-wall beautiful living room with vaulted-double height ceilings, new laminate flooring, all new interior paint, and dual sided fireplace; inviting open layout leads you into the dinning room area and spacious kitchen with plenty of cabinets and counter space. All appliances stay! Lots of windows allow for natural light all day! Separate area for laundry. Upper level features new carpet throughout, a total 3 bedrooms, 2 full baths, and a loft/landing area with additional cabinets. The spacious master bedroom has a walk-in closet and includes a private bathroom with his and hers sinks and plenty of counter space. Immaculate clean. Backyard features a stamped concrete patio, perfect for entertaining, and a privacy fence all around. Mitchell Place is a gated community, the HOA includes snow removal, all front yard & community landscaping, making this home an easy and low maintenance living.